As 2010 finished out it marked the 25th anniversary of the acquisition of Malcolm Muggeridge’s Papers and the 15th anniversary of their dedication . Canon David Winter gave the dedicatory address entitled “Seeing Through The Eye: Muggeridge, the Prophet of the Media Age.” A commemorative booklet including the entire dedication program on November 18, 1995 was made available. The noteworthy event was also featured in a full-page article in the Wheaton’s student newspaper, The Record . Malcolm Muggeridge, born in 1903, has become one of the notable figures of the twentieth century. He is well-known as an author, journalist, media personality, and in his later years, a leading spokesman for Christianity. Malcolm Muggeridge experienced a life of tension and seeking. Beginning with his socialist upbringing, his father was involved in politics and served as a member of Parliament, his search for satisfaction and justice continued until it culminated in his finally embracing Christianity. The true value of having Malcolm’s papers at Wheaton College comes through being able to preserve “the voice of a craftsman of the English language–and a Christian voice which speaks with all the more splendor because it was born from a seed that was full of doubt, cynicism and self-promotion. 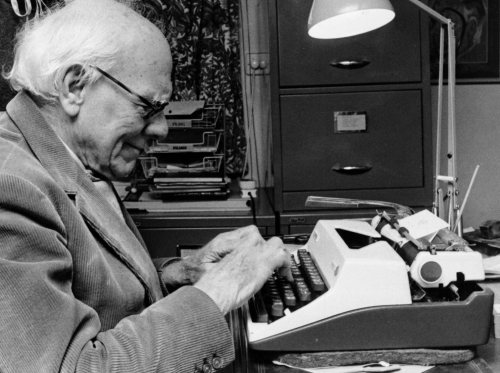 The Papers of Malcolm Muggeridge are available to researchers at the Wheaton College Archives & Special Collections. 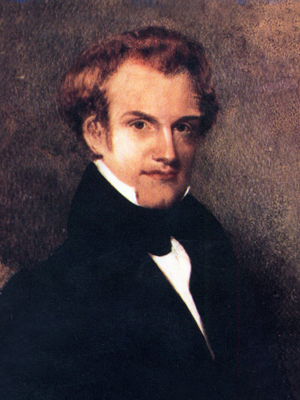 January 19 is the birthday of Jonathan Blanchard and 2011 marks the bicentennial of his birth. 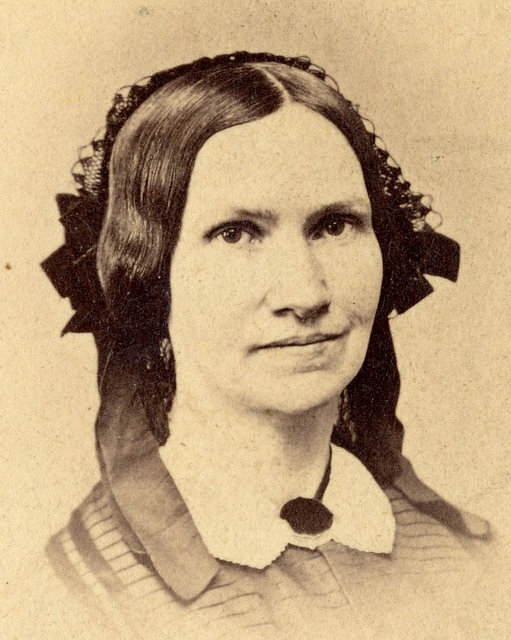 Blanchard had several careers of significance prior to his coming to the dreary open prairies of Wheaton Illinois in the late 1850s. He had taken great risks as one of “The Seventy” disciples of abolitionism. He was a very successful pastor in Cincinnati. He was active in getting the Liberty Party in Ohio off the ground and was friend of future members of Congress and the U. S. Supreme Court, even serving to introduce the two. He was offered a professorship of the fledgling Oberlin College and the presidency of a vibrant activist mission institute. In addition he represented his nation at the second World’s Anti-Slavery Convention in London and served as one of its vice-presidents. He also publicly debated the sinfulness of slavery with a fellow minister over four days for hours each day (these were later published and can easily be found in bookshops and libraries worldwide). He also debated Stephen Douglass. Finally, before his trek from the prosperous Galesburg to Wheaton, Jonathan Blanchard served as the second president of Knox College. His able skills brought the school recognition and solid finances. In this midst of this great career was an address that Jonathan Blanchard gave to the Society of Inquiry at Oberlin College in 1839. 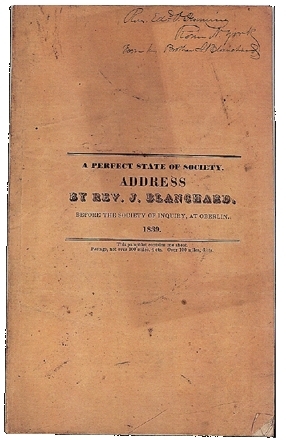 It was this address, A Perfect State of Society, that Jonathan Blanchard detailed his hopes and aspirations for a nation. It was these ideals that shaped his life and career as he sought to ameliorate the ills of society to usher in a state of society that would be ready for the reign of Jesus Christ. It was not that the world and society would have reached sinlessness but that things were in such order, where what needed restraint was restrained, that there was harmony. Like children need discipline, so too elements of society needed structure and restraint. Some things we ARE to look for in a Perfect State of Society. Suggest some of the ways and means by which this desired condition of things is to come. If one wants to understand the life and mind of Jonathan Blanchard, particularly on this bicentennial, then one must understand and engage A Perfect State of Society. This address will not only help you understand this forgotten figure of 19th-century American history, but it will help you understand the time in which he lived–a time filled with Utopian ideals. As he was making his way to his room in the Plaza Hotel he passed a room from which emanated singing accompanied by some guitar music. To Akin the music sound quite familiar so he knocked on the door. Being invited in Akin found Carl Sandburg sitting on the bed, in a crouching position with his shoes off. 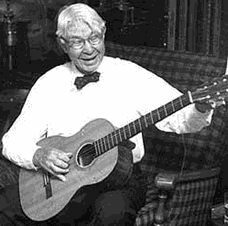 There Sandburg, who Akin always found to be unusual and unorthodox, was playing the guitar and singing to himself. Akin enjoyed the company and music for over an hour. Sandburg was an avid guitar player and had the chance to meet Andres Segovia in 1938. Sanburg had followed Segovia since hearing his recordings twenty years earlier. The meeting with the father of modern classical guitar helped to reinvigorate Sandburg and his writing. I had returned to Wheaton a week before the school semester commenced. I was downtown in the stores and a Western Union agent got the word and came across the street and told us the startling and tragic news that President McKinley had been assassinated. I jumped on my bicycle and rode up to the college building and over to the Tower as fast as I could make it. I climbed up to where I could reach the bell rope and rang the bell and kept on ringing it. Then to keep anyone from stopping me, I climbed up above the trap door pulling the rope with me and kept on ringing where no one could get to me. First I saw professor Fischer coming over in his old one horse buggy with his gray horse. Then Professor Whipple came waddling over from the dormitory where they were staying. Soon Professor Straw and Professor Mullenix came. Many people came to the Tower and they tried to stop me from ringing the bell but I only climbed up farther where they couldn’t get through. The trap door was not only closed under my feet but I had to pull a big timber over it. After I had tolled the bell for a long time, I climbed down to where the crowd was waiting to get their hands on me. The moment I saw them I said, “Didn’t you know that the President of the United States has been shot?” And everyone left without a word. 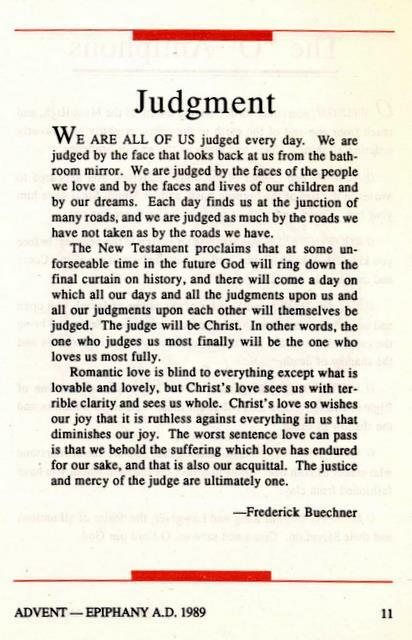 Over twenty years ago, Special Collections author Frederick Buechner penned the following words in the 1989 Advent — Epiphany issue of the Anglican Digest. We are all of us judged every day. We are judged by the face that looks back at us from the bathroom mirror. We are judged by the faces of the people we love and by the faces and lives of our children and by our dreams. Each day finds us at the junction of many roads, and we are judged as much by the roads we have not taken as by the roads we have. The New Testament proclaims that at some unforeseeable time in the future God will ring down the final curtain on history, and there will come a day on which all our days and all the judgments upon us and all our judgments upon each other will themselves be judged. The judge will be Christ. In other words, the one who judges us most finally will be the one who loves us most fully. Romantic love is blind to everything except what is lovable and lovely) but Christ’s love sees us with terrible clarity and sees us whole. Christ’s love so wishes our joy that it is ruthless against everything in us that diminishes our joy. The worst sentence love can pass is that we behold the suffering which love has endured for our sake, and that is also our acquittal. The justice and mercy of the judge are ultimately one. The Papers of Frederick Buechner are available to researchers at the Wheaton College Archives & Special Collections. We never have worked pleasantly together…. In late June 1871, the twenty-two year old Charles Blanchard wrote to his mother about his travels from Worcester, Massachusetts to Bailey Hollow, Pennsylvania. 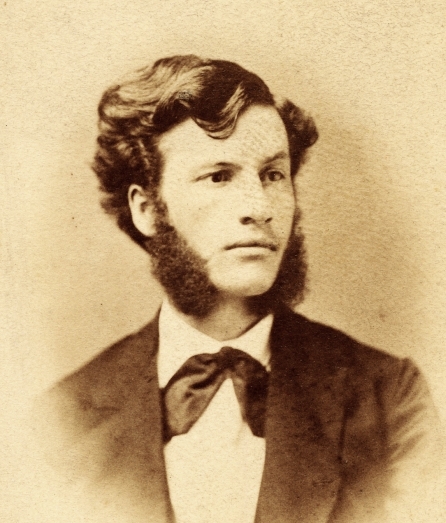 Following his graduation from Wheaton College in 1870 Charles lectured on behalf of the National Christian Association, a reform organization dedicated chiefly to opposing Freemasonry and other oath bound orders. By the time he graduated from Wheaton College in 1870, he had presented 65 addresses concerning the ills of lodgery. Among other topics, Charles references Asa Packer and the founding and operation of Lehigh University. He also writes of his uncertainty for his future as he considered law, ministry or taking a stab at newspapers. It is obvious that this had been a topic of conversation of Charles with his parents. Knowing that his father, Jonathan, had bouts of illness and poor health Charles feared that if his father’s health were to fail terribly that the college would become a “timeserving nerveless thing.” Likely reflecting hiss own concern Jonathan urged Charles to begin working at Wheaton. Despite his father’s desires and his own aimlessness, Charles tells his mother that his father and he have “never have worked pleasantly together and can do nothing in such a work unless we did.” Charles obviously had struggled with his father and wrote of Jonathan, he “will stand for his convictions as no other man I know.” Charles eventually came to terms with his father and his headstrong personality. In 1872, Charles began the affiliation with Wheaton College which was to last the rest of his life. That year he took the position of Principal of the Preparatory Department.